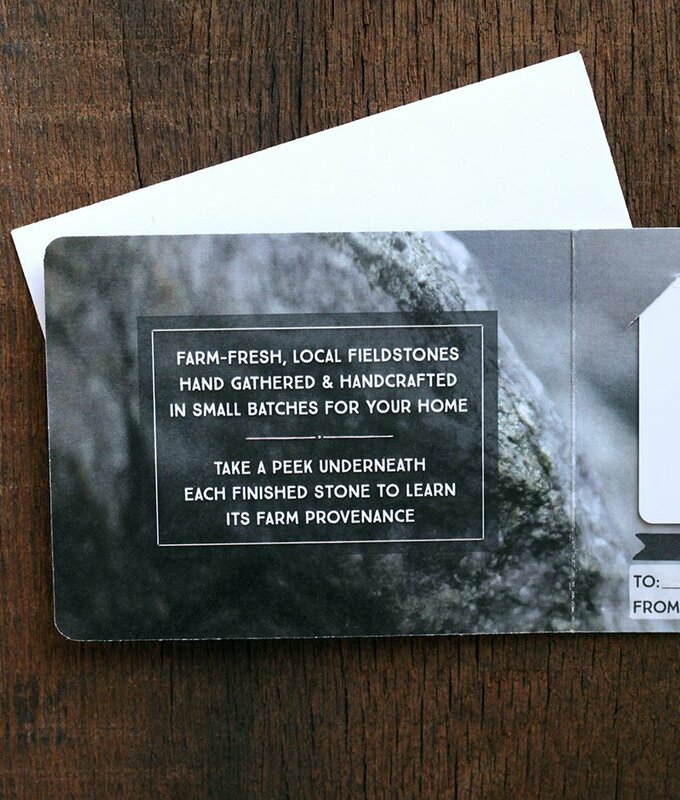 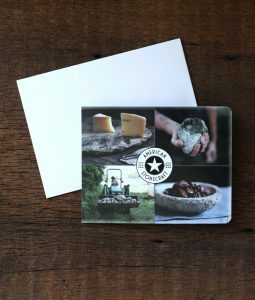 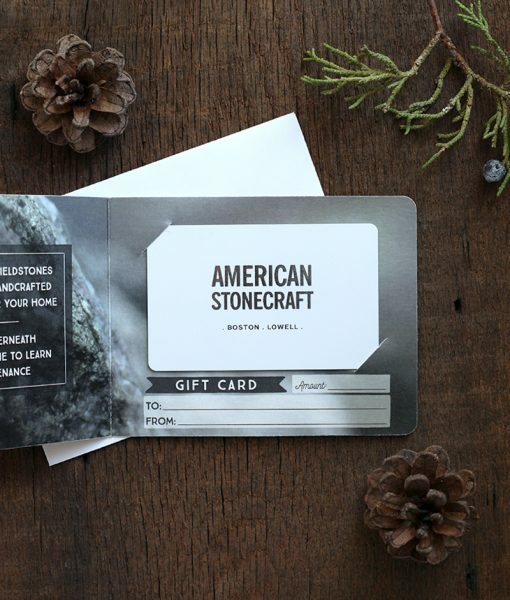 Our new Gift Cards are the perfect solution if you know someone who would love a piece of our handmade fieldstone tableware, but you aren’t sure which stone to select for them! Gift Cards ship for free via USPS unless you have additional items in your order. 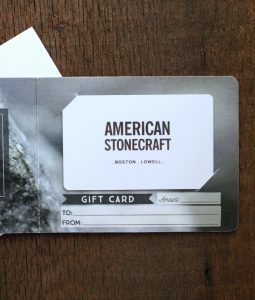 Each gift card will arrive in a special card holder as pictured above. An envelope is also included. 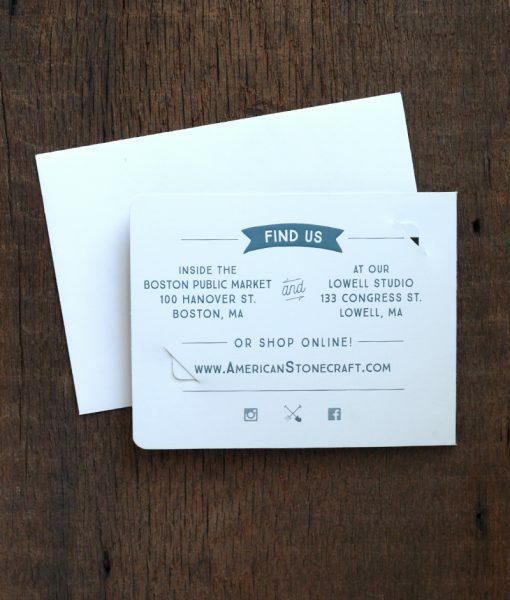 American Stonecraft Gift Cards can be used at our Boston and Lowell locations, or online in our web shop! 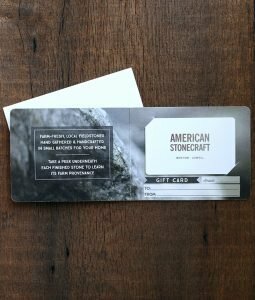 To use a Gift Card for an online purchase, select Gift Card as the payment method and enter the 16-digit number from the back of the card in the ‘Order Notes’ field. If the order total exceeds your Gift Card balance, we will contact you for payment of the remaining balance.